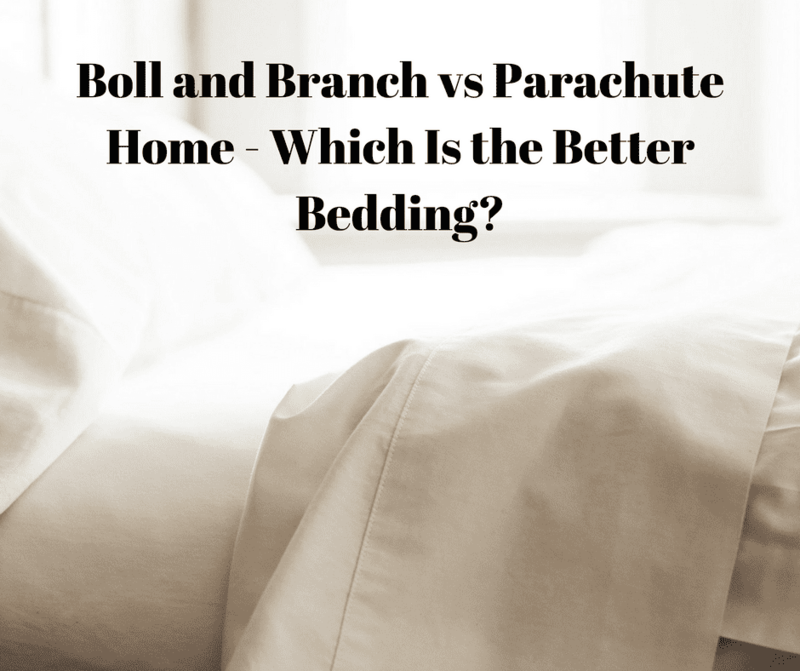 Boll and Branch vs Parachute Home – Which Is the Better Bedding? With such a sharp rise in the popularity of direct-to-consumer online mattress and pillows brands, it was only a matter of time before such unique bedding brands also popped up. While you might get away with cheap, itchy synthetic sheets when you’re younger and outfitting your first adult bedroom, chances are you’ll want to invest in at least two sets of high-quality bedding that is breathable, comfortable, and going to last more than just a year or so. 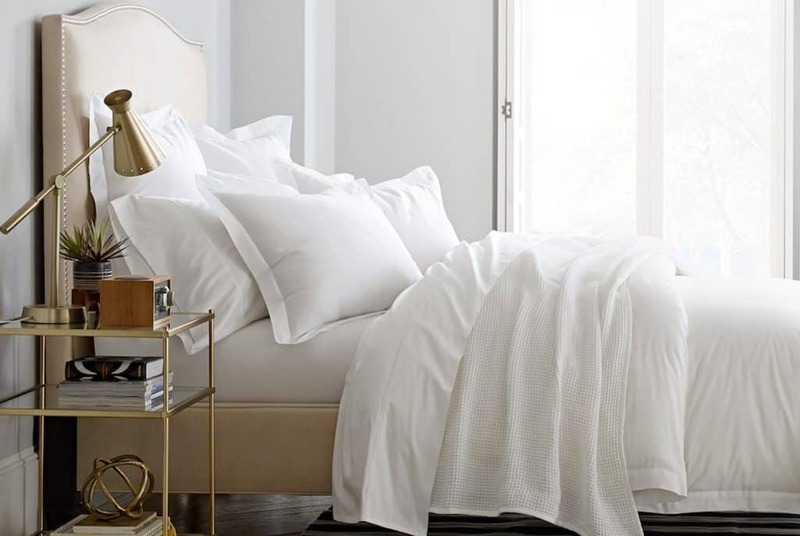 Although you can certainly purchase bedding from a number of online sources, those that are eco-conscious or really want the best quality bedding they can afford will be happiest purchasing their sets from brands dedicated solely to linens and bedding. Two very popular independent bedding brands in the spotlight at the moment are Boll and Branch and Parachute Home. Boll and Branch, as well as Parachute Home, are considered some of the best of the high-end direct-to-consumer bedding brands. Both are quite successful but had humble beginnings as a small business. Likewise, both brands also focus on cotton linens that are sustainably manufactured. The similarities between these two brands can make it tricky to decide which is the best choice for outfitting your bedroom. Though these two brands each produce high-quality cotton bedding, there are some differences that might make you prefer one over the other. Boll and Branch was founded in 2014 with the goal of producing bed sheets that are not just comfortable but promote a toxic-free home. 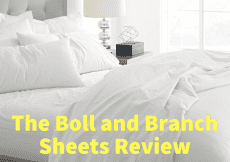 Boll and Branch was created by Scott and Missy Tannen, a husband and wife team that was tired of the uncomfortable, cheaply made, and chemical-laden sheets so commonly found in stores. They decided to focus on creating superior cotton sheets that are also 100% organic, a huge bonus to their brand that has helped make them so successful. Boll and Branch offer their bed sheets in striped, banded, pleated, flannel, trimmed and hemmed designs. There is a nice selection of color choices, with the hemmed sheets having the most options (9 colors total). Boll and Branch offer free shipping and a 30 day trial on all their bedding. In general, there isn’t anything wrong with Boll and Branch bedding, but your own personal tastes in sheets may make or break this brand for you. Firstly, these sheets aren’t inexpensive by any means, but they are reasonably priced for being 100% organic cotton. Sheet sets from Boll and Branch naturally differ in price based on size and design, but fall between $200 and $330. Therefore, if you don’t highly value organic sheets or if you plan on upsizing or downsizing your mattress soon, spending such a large amount on a single set just might not be something you’d like to do. One other consideration is the Boll and Branch sheets all come as a Sateen weave, which not everyone likes. This is where your own preferences will determine how happy you may or may not be with the brand. Boll and Branch sheets have a smooth silky, luxurious texture rather than a dry, crisp sheet feel that some prefer. Ironically, Parachute Home was also founded in 2014, by Ariel Kaye. The founder got her inspiration from the soft, comfortable bedding she experienced in a picturesque hotel in Italy. Upon arriving home her search for similar linens was frustrating, so she decided to do something about it and design her own linens. 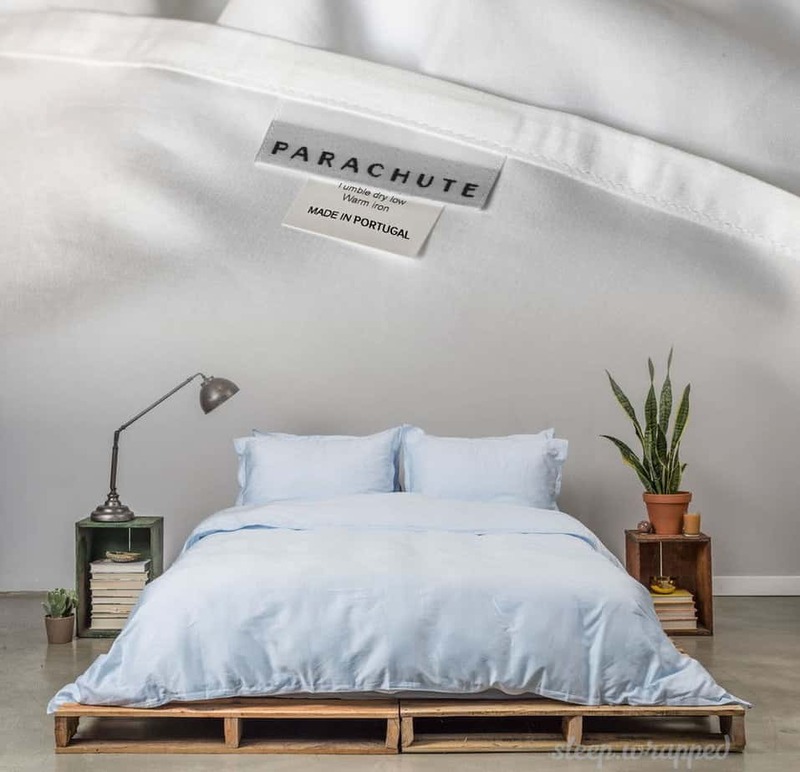 Parachute Home offers beautiful sheets and other bedding with a very craftsman-like vibe to them. Similarly to Boll and Branch, Parachute Home focuses on cotton bedding. Their Sateen and Percale sheets are all made of long-staple Egyptian cotton, with 100% pure European Flax being used for their Linen line. Despite not being organic, Parachute sheets are incredibly well-made and environmentally friendly. Parachute Home doesn’t include a top sheet with their sheet sets, which is a bit unusual but a smart choice. During their research they found only about 60% of adults sleep with a top sheet, which means 40% are paying for a top sheet they aren’t going to use. Parachute, therefore, added the option to add a top sheet but not automatically include one. 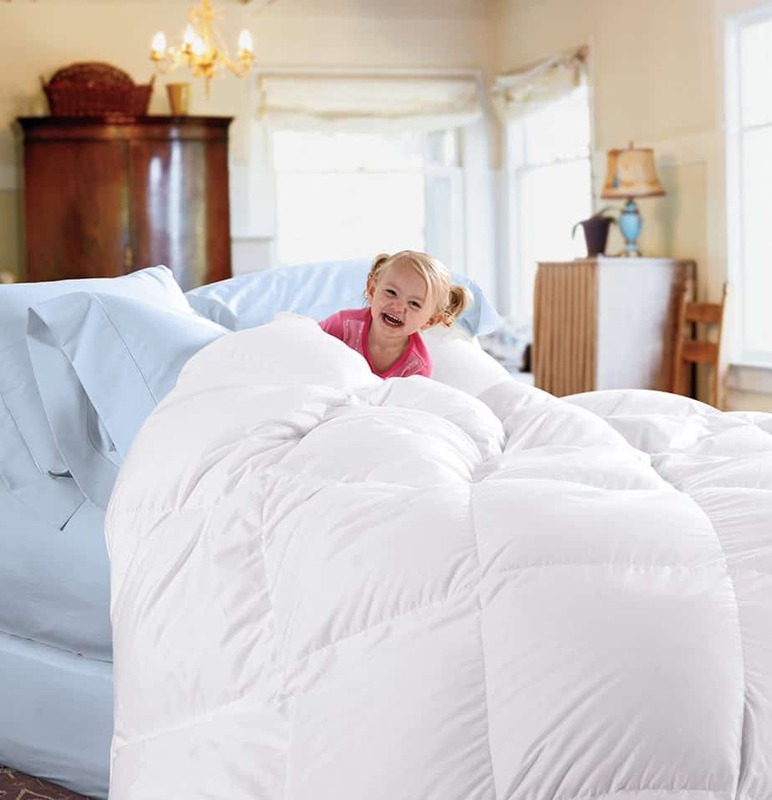 Compared to Boll and Branch, Parachute Bedding is also less expensive, with the most expensive set being under $200. In fact, for just a little more than the typical Boll and Branch sheet-only set you could purchase a complete sheet, duvet cover, and pillowcase set from Parachute. Overall the Parachute sheets are incredibly lightweight, soft, and quite modern in appearance. The options for either Sateen or Percale are also appreciated. Additionally, all Parachute sheets are stone-washed, which gives it a lived-in feel right out of the package. Also, Parachute offers free shipping, free returns, and a 60-day trial. It is quite difficult to find flaws in Parachute Home Bedding. They are reasonably priced and allow consumers to purchase a high-quality sheet set without the lack of quality found in department stores but also without breaking the bank. If there were any drawbacks to the Parachute Home sheets it might be their appearance. Again, bedding choice is a very individual preference. These bed sheets are certainly well-made and many find the stone-washed effect, mentioned above, to add a lovely feel to this bedding. That being said, others might find this appearance to look dull or “used”. Even the Sateen light is somewhat dull rather than looking shiny, despite them still being incredibly soft. Other might also find that these sheets lack wrinkle-resistance and may need ironing after being folded and stored. Which Bedding Should You Buy? 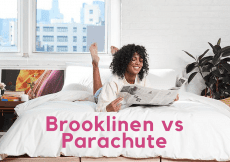 Choosing between Boll and Branch and Parachute Home bedding comes down to three main factors – Price, Organic vs Non-Organic, and Personal Taste. Boll and Branch is clearly the more expensive option. Though many love the quality of these sheets and have few complaints, these sheets simply might not be affordable for someone. 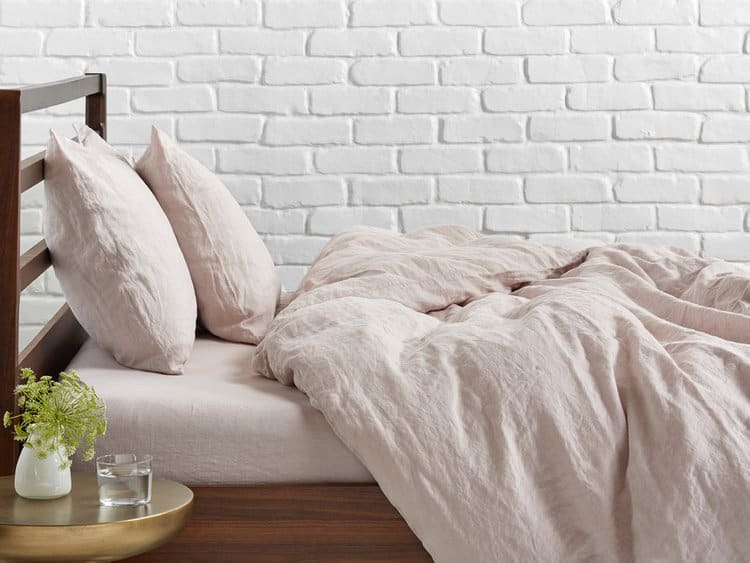 You do need to factor in the fact these are 100% organic, but if organic sheets are not a “must have” for you, then chances are you’ll find these to not be a good investment. Parachute Home bedding is much more reasonably priced, and though it isn’t organic, it is still eco-friendly, toxin-free, and about as “green” as you can get with your choice of organic sheets. Often times price alone is why many end up going with Parachute, making them a favored choice for those with expensive tastes but do have a budget. Lastly, if you only like the feel of Percale sheets, Boll and Branch’s offer of only Sateen is not going to meet your needs. Parachute Home offers a few different types, all equally well made, to suit anyone’s needs. You’ll also find more trendy color options with Parachute. 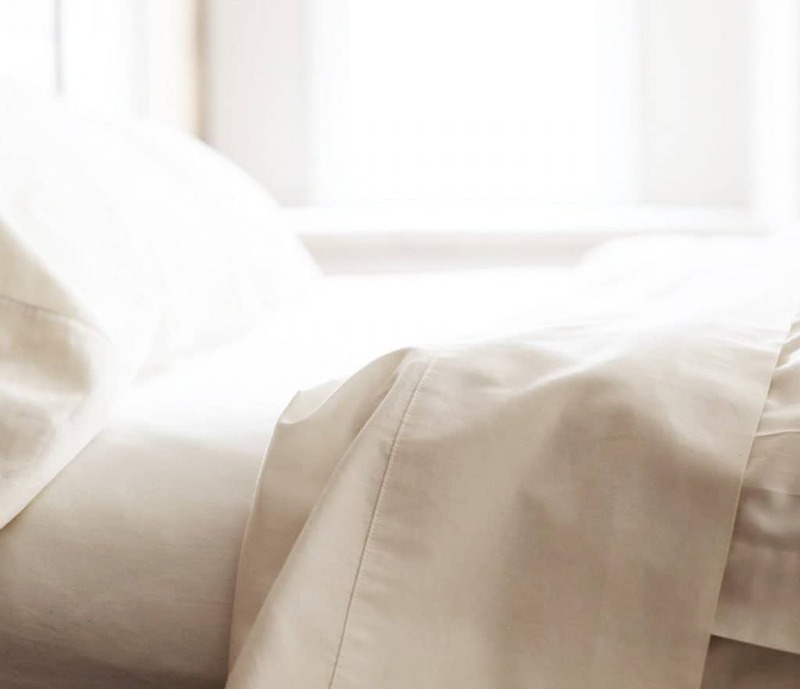 All in all, if you must have smooth and silky organic cotton sheets and you’re more than happy to make an investment, choose Boll and Branch. If instead, you love that hotel-like crisp sheet feel of Percale and don’t want to spend hundreds for a beautiful bedspread, you’ll be pleased with Parachute home. Other Options of Luxury Sheets? There are actually a variety of other options out there in the luxury linens in a box space.